Amy Meier Collection | Geometric Sculptures | Stone Yard, Inc.
An irregular pyramid shape makes for a striking profile, with the longest edge reaching unapologetically to the sky while two faces remain in silent shadow. The gesso finish gives this modern shape a charmingly aged appearance. 20 faces, 30 edges, 12 vertices. This icosahedron has many angles where shadow and light can play in this abstract shape accentuated by a slightly distressed, purposely imperfect gesso finish. 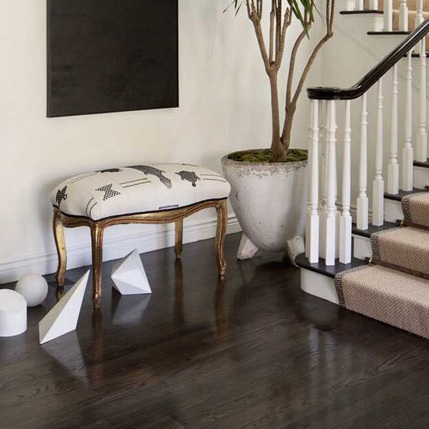 This sloped cylinder gives weight and a dramatic edge to this minimalist shape profile, which is hand-painted with a chalk-like gesso finish for a vintage feel. 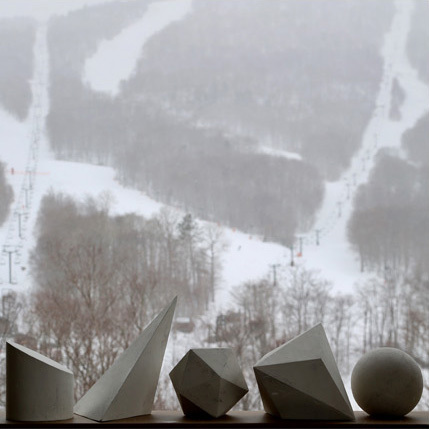 Crystal-like in silhouette, this tetrahedron can rest on any one of its many triangular surfaces, providing shape profiles and artfully highlighting multiple planes at a glance. Its raw, uneven gesso finish adds even more depth to this already complex sculpture. 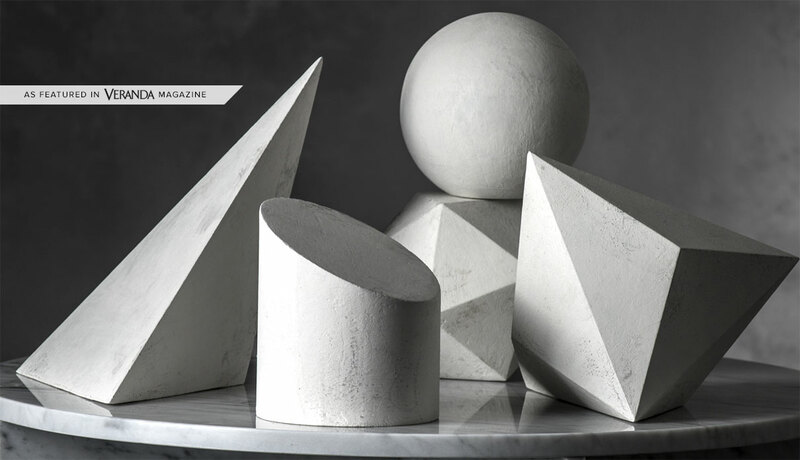 Curved and smoothed until its simple sphere shape emerges, this globelike sculpture with its gorgeous gesso finish is a piece that can be worked into any design. How did you style your geometric shapes from the Amy Meier by Stone Yard collection? 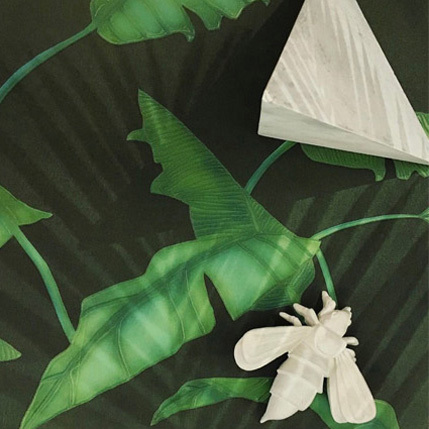 Inspire us with your design ideas by posting an Instagram photo with the hashtag #GeometricStyle, and don’t forget to tag us at @stoneyardinc and @amymeierdesign for a chance to be featured in our feed.